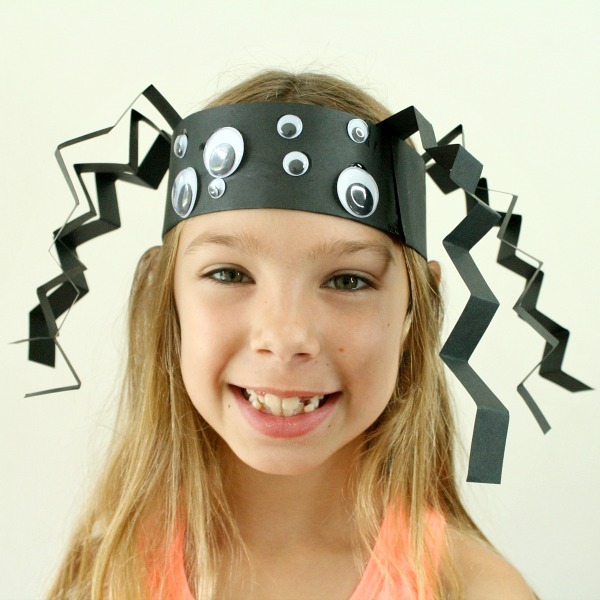 This spider headband craft is one of my favorite activities from our S is for Spiders theme in the classroom. My students always love making spider headbands. Oh the giggles they make as they wear and play with their adorable spider crafts. 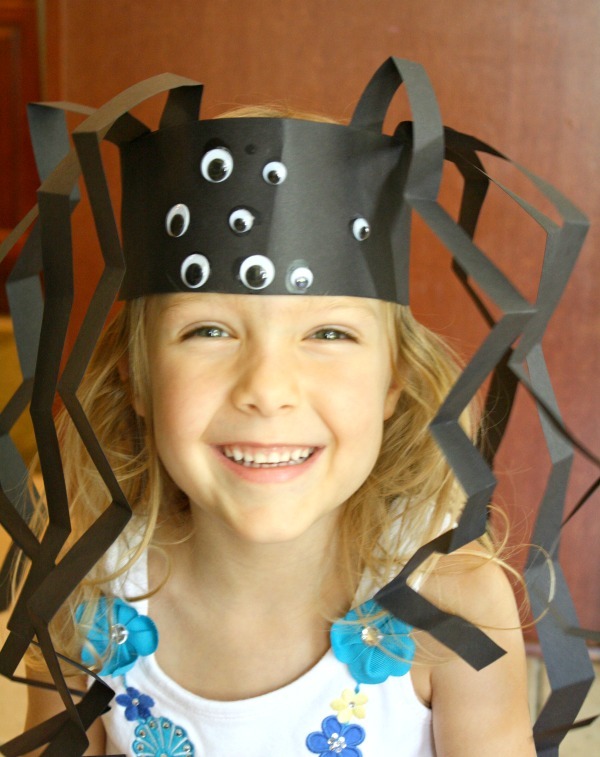 Make spider headbands as a Halloween craft, life science activity, or the letter S idea. Before making the spider craft we read a couple of nonfiction books about spiders and try to focus on some key facts. Mainly, spiders have eight legs, and most spiders have eight eyes. These are the two facts we included in the spider headband craft. Note: This post was originally published in 2012, but updated photos and video were added in 2018 to help clarify instructions. To begin I cut long strips of paper to fit each child’s head. I didn’t have strips long enough so we glued two pieces together. No biggie, and it actually helped make the headband a bit stronger. 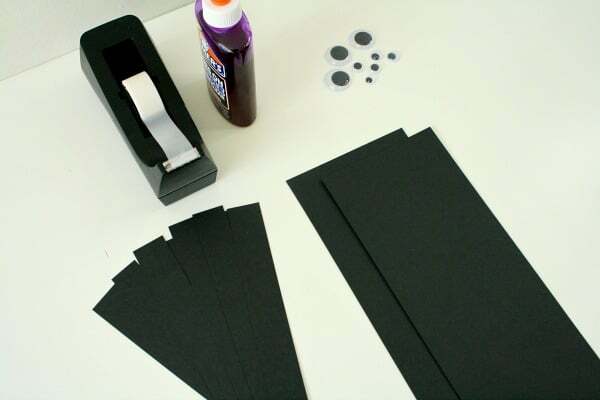 I also cut enough long thin strips of paper for each child to have eight. The kids counted their leg pieces to double check that they had eight…always getting in a little counting practice when we can. Get ready to fold. We stacked two pieces one on top of the other. This was just to save them a little time. 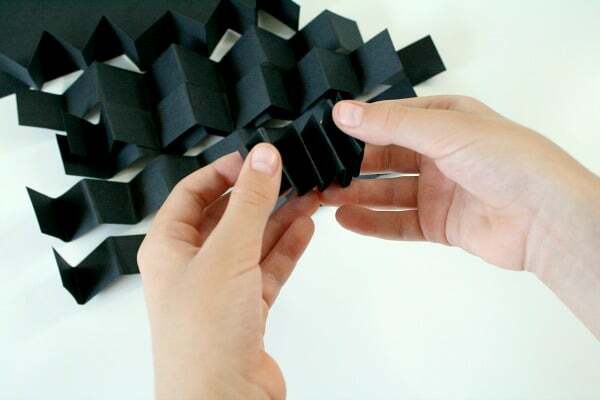 I remembered from the classroom that my students fizzled out about half way through the folding step. This trick really helped cut down on the folding time. I modeled how to fold and flip, fold and flip. 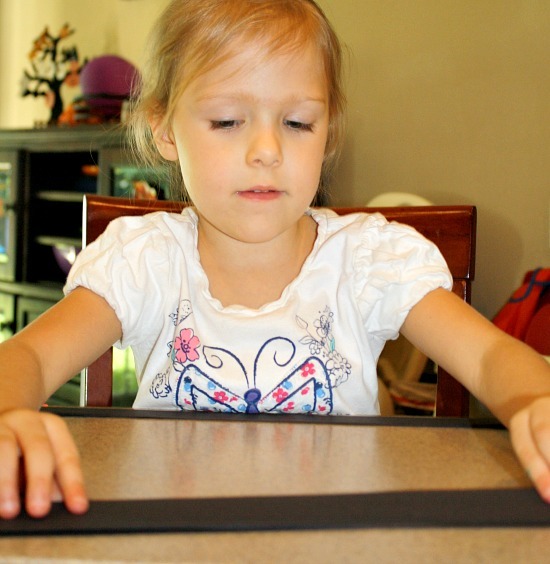 Folding this way helps keep the kids from just rolling the paper. This whole folding process is excellent fine motor practice, but I did stay close by to help them as needed along the way. They really did a great job with the folding! Next we laid down our headband piece and decided to leave a blank space in the middle so we could see. 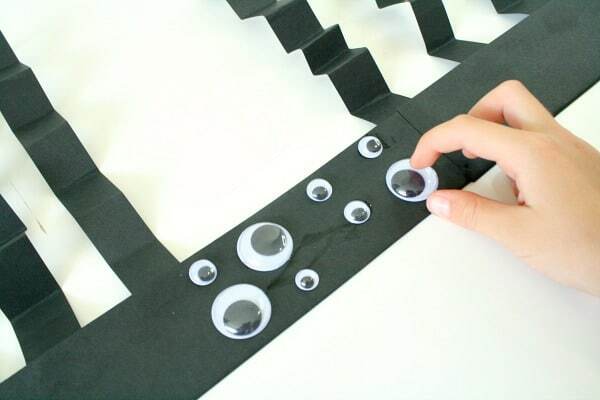 The kids added four dots of glue on one side and four dots of glue on the other side before attaching all eight legs. 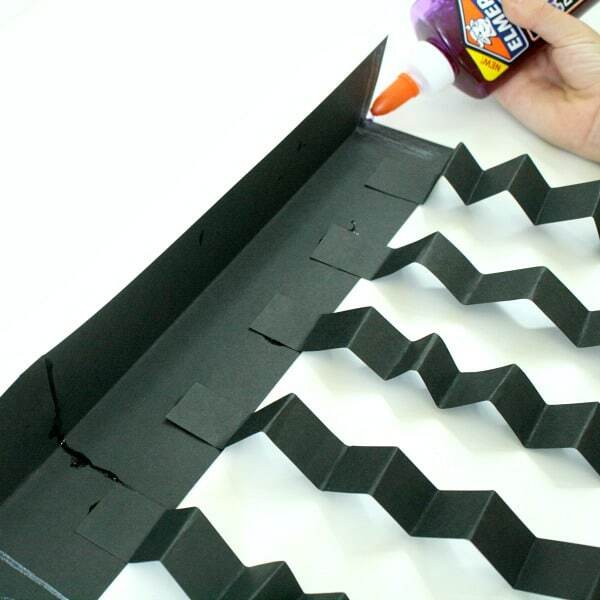 We then folded the paper over in half and sealed it with glue. This helps the legs stay attached and increases the spider hat durability a bit. While we were waiting for the legs to dry a bit the kids each picked four big eyes and four small eyes. Then we put all of the big eyes together and counted how many big eyes in all. We did the same with the small eyes and counted how many small eyes in all. Before we separated them out again we counted how many big and small eyes altogether. 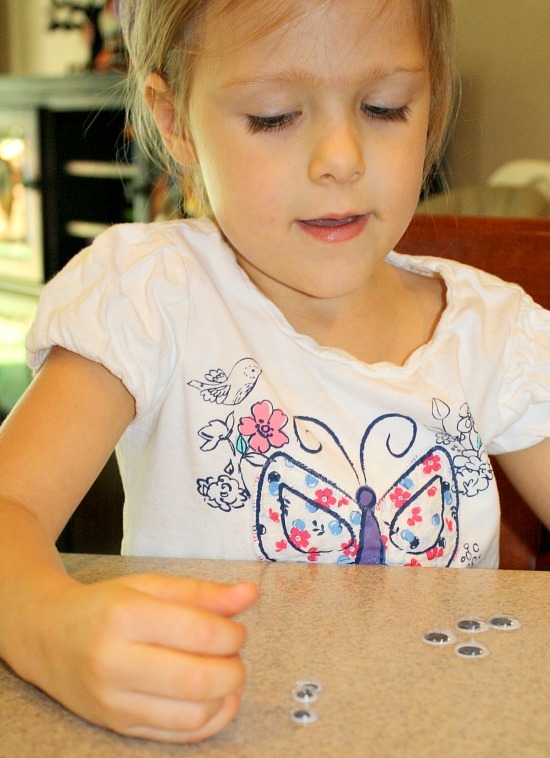 This was an easy way to practice counting, sorting, opposites, one-to-one correspondence, and a little math vocabulary. Then we flipped over our headbands and glued on all eight eyes, and again we waited a bit so our eyes wouldn’t slide off our spider heads. At last we got to staple our headbands together and put them on. I always like to put them on with the legs extending out of the top instead of the bottom. They are just more fun that way! The kids loved creeping around the house like spiders and acting out The Itsy Bitsy Spider song. Thanks again for the inspiration! 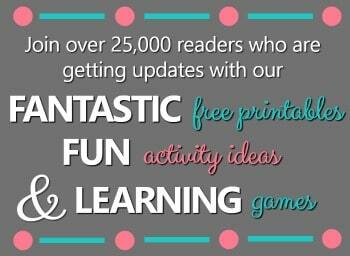 If you ever want to guest post for each other or collaborate on anything, please don’t hesitate to reach out! I’m so glad you liked it, Dianne! 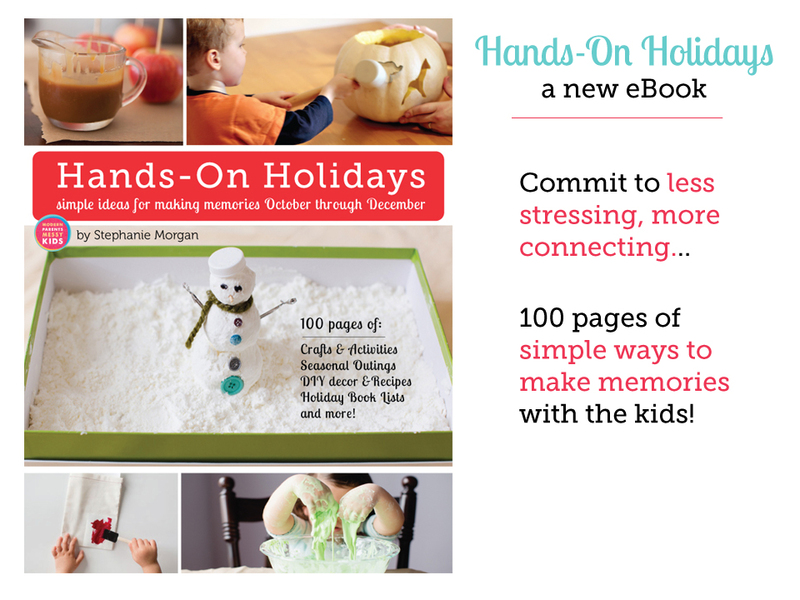 It’s really one of my favorite learning crafts. 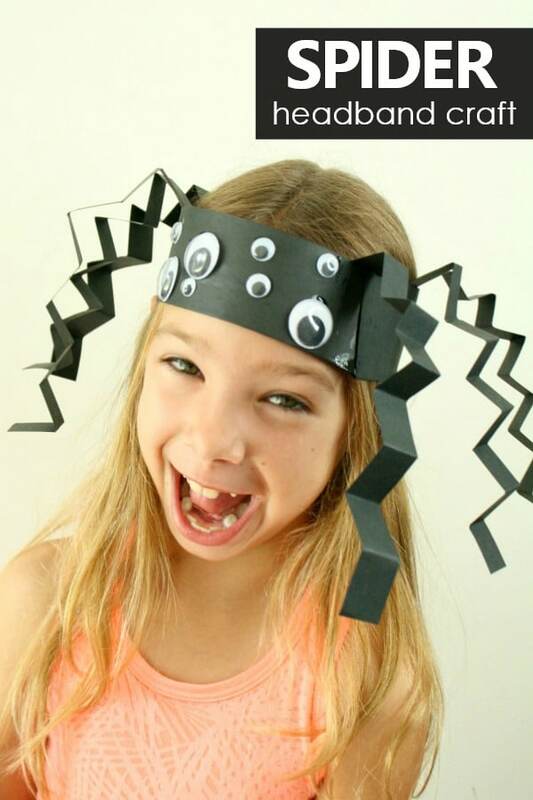 Kids always have so much fun with their spider hats! I really appreciate how you shared the craft and credited this post. You’re site is adorable. If you ever have any ideas for collaborating let me know. Cool and easy Halloween costume! 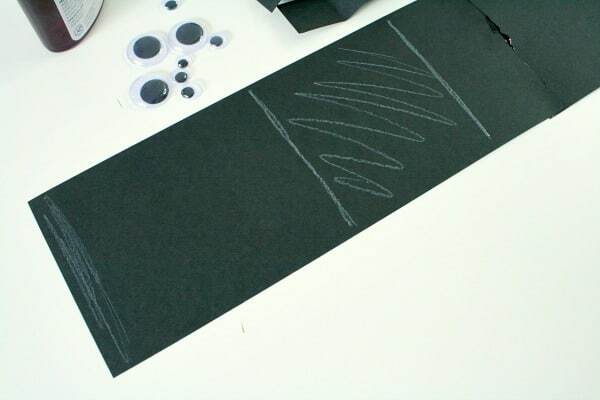 I linked to your tutorial today and hope you don’t mind – to get lots of eyeballs I grabbed a pic from this page. Thanks again for this awesome idea. My girls LOVE goggly eyes. Thank you! What a fun collection of Halloween costume ideas. Thanks for including us. And we love googly eyes, too! Thanks so much! And thank you for hosting. This is absolutely adorable. And spiders are about so much right now it would be fitting even now that halloween has passed. Thanks for sharing. Thank you! 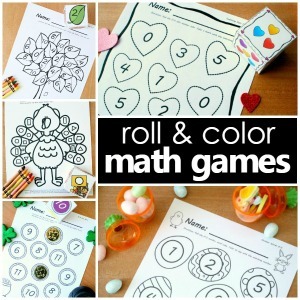 It is a fun craft that really can go along with many different topics. 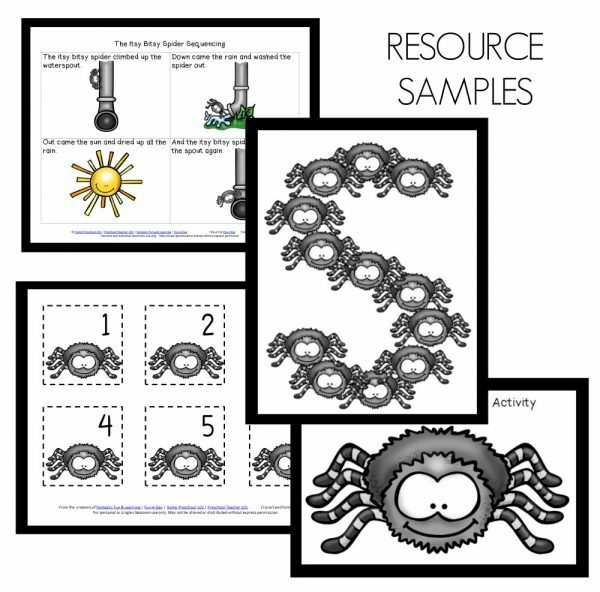 Definitely fun to use when acting out nursery rhymes…Itsy Bitsy Spider and Little Miss Muffet. It is also great for learning some simple facts about spiders. I am glad you like it!